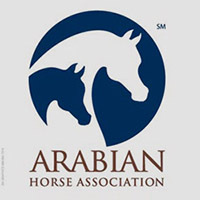 Aurora, CO (August 10, 2010)—The Arabian Horse Foundation (AHF) has announced it awarded $15,000 in grants and youth scholarships this year. 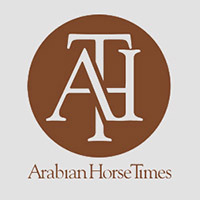 Since the Foundation was re-launched three years ago, the nonprofit entity, which is the philanthropic arm of the Arabian Horse Association (AHA), has given over $75,000 in grants and scholarships. The AHF recently awarded $5,000 in Scholarships, $5,000 to Rescue and Rehoming of horses, and $5,000 to Equine Research. The $5,000 grant to Rescue and Rehoming was split evenly between Mountain View Rescue, which is in Columbia, Kentucky and the Emergency Rescue Fund, a new fund set up within the AHF. The grant of $2,500 to Mountain View will be used to help those impacted by the nation’s struggling economy by providing hay on a short term basis for owners who have been financially challenged. New to Mountain View’s program is a low-cost gelding program, designed to encourage gelding intact stallions. This is the second grant to be given to Mountain View. The second designation of $2,500 will be used for emergency situations that require quick evaluation and response. The Foundation directed $5,000 to Equine Research, with $2,500 going to work at UC Davis, and $2,500 going to Cornell University. The Foundation has funded projects at both institutions previously with evidence of significant progress as a result of funding. The $2,500 to UC Davis will be directed to the work of Dr. Cecilia Penedo in the continuing efforts to refine the search for the mutation that causes Cerebellar Abiotrophy (CA), a degenerative condition of the brain caused by the death of neurons called Purkinje cells, resulting in a severe lack of coordination. Most affected horses are euthanized before adulthood. Evidence indicates that CA is widespread in the Arabian breed. 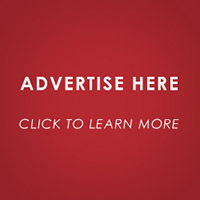 The $2,500 to Cornell University will go toward research into Equine Metabolic Syndrome (EMS) and Equine Cushing’s Disease (ECD) in the Arabian. The grant will fund the work of Dr. Samantha Brooks and Cassy Streeter. A frequent complication of EMS, also known as Insulin Resistance, and ECD is laminitis and laminitis, in turn, is one of the most common causes of lameness and death in the horse. “Our Foundation Advisory Panels consistently do a wonderful job of researching and evaluating the best projects for the Foundation to fund,” Kinneer said. Ten youth were awarded scholarships by the Foundation. Jim Cada, Foundation Treasurer and chair of the Scholarship Advisory Panel, commented, “We continue to be pleased with the quality of applications for scholarships. It is always rewarding to help a young person achieve their dreams and potential by furthering their education. Many parents continue to struggle with the economy and the need to support their children in their efforts to continue their education. It is good that the Foundation can provide help with this need.” Serving with Cada on the panel is Nancy Harvey, Foundation Secretary. The AHF Scholarship winners are: Carissa Grisham of Southlake, Texas; Bethany Dewey of Newfane, New York; Breanne Ensor of Heath, Texas (winner of the Jon Ostermeier Scholarship); Lucy Rutt of Denver, Pennsylvania (winner of the Don Thompson Scholarship); Matthew Christian Hoffman of Hastings, Minnesota (winner of the Norm Dunn Scholarship); Melanie Ray of Wichita, Kansas (winner of the Myron Krause Scholarship); Robbin LeJune of Lota, Louisiana; Lindsay Jones of Corvallis, Oregon; Kaitlyn Zurek of Howell, Michigan; and Ethan Hendrickson of Friendswood, Texas.